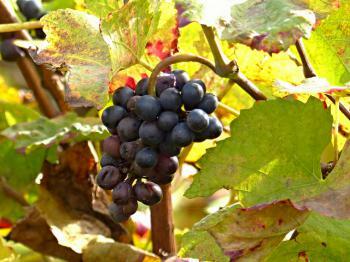 The Climats, terroirs of Burgundy comprise 1,247 vineyard parcels and the commercial towns of Beaune and Dijon. The vineyards are distinct from one another due to their specific natural conditions such as soil and microclimate. They cover the Côte de Nuits and Côte de Beaune south of Dijon. The Climats, terroirs of Burgundy is a fairly recent addition to the evergrowing list of wine-related WHS. The site covers a large area in the east of France, with officially two components: (1) the over 1,200 viticultural parcels called ‘Climats’ with villages and the town of Beaune and (2) the historic centre of Dijon. The site so far has only attracted one review on this website. And noone has written about the Beaune component yet. So that’s where my focus was on my weekend trip to Burgundy. An early warning: I am not going to write about wine! Beaune once was the seat of the Duchy of Burgundy, a medieval state (or more precise: a personal union of many lands) that originated in the current French region of Bourgogne. The power of the Burgundian dukes stretched into what is now Holland and Belgium – the Burgundian Netherlands are still part of history lessons in the Netherlands. The Burgundian dukes managed to impose a central rule on the various provinces and city states of the Lowlands. During exactly this period, the 15th century, the city’s one true highlight was constructed: the Hospices de Beaune. This hospital for the poor was founded in 1442 by the Chancellor of the Duchy of Burgundy, Nicolas Rolin. He wanted to spend part of his money on social work, but the building also displays his wealth and is somewhat of a shrine for himself and his wife. The Hospices are a masterpiece of art and architecture with an interesting bit of social history entwined. It wouldn’t be out of place on the WH List entirely in its own right. The poor patients were treated and cared for in a large hall. It looked more like a church than a conventional hospital – there were painted wooden beams in the ceiling to admire, and a chapel at the far end (far enough so that the patients wouldn’t be too much disturbed by yet another funeral). A special religious order of nuns looked after the patients, and the hospital had its own gardens and vineyards to provide for food and income. Parts of this hospital have functioned into the 1980s, now it’s a museum. Entrance costs 7.5 EUR, and audio guides are available in several languages including Dutch. At the end of the tour circuit a dark room awaits where silence is requested. This is the ‘sanctuary’ where the Last Judgement altarpiece made by Rogier van der Weyden is shown, a prime example of Early Netherlandish painting (one of my most favourite periods/styles). It originally was the altarpiece for the chapel inside the Hall of the Poor, and it was commissioned by Nicolas Rolin himself. It's in excellent condition, and I think it's a good thing that it still is preserved almost in situ and not in a museum. 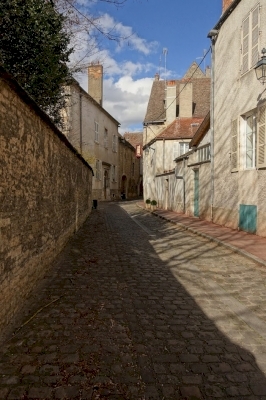 Beaune nowadays is a friendly town of 22,000 inhabitants. Despite visiting very much out-of-season (early March), I wasn’t the only tourist around. The town has a nice medieval atmosphere, it reminded me a bit of Provins. The 313 MB nomination file lists many wine-related buildings in Beaune, such as schools and caves. But I skipped all of those in favour of art and architecture! "Again a vineyard, again a serial nomination." Ever since hiking through the Piedmont and then later the same year the Prosecco hills have I a certain skepticism when it comes to any site featuring vineyards. Luckily, my skepticism in the case of Burgundy was not warranted as Burgundy to me is primarily a late medieval landscape that happens to have some surrounding vineyards. The two main locations of the site are Dijon and Beaune. I managed to see both in half a day. Dijon is the regional capital and boasts quite a large old town. For me the Ducal Palace and the Place de La Liberation were the highlights of the town. To see the vineyards I traveled to Beaune. Beaune is way smaller than Dijon and within 15min you are on the edge of town where the vineyards begin. For those interested there are multiple hiking trails. To get started walk to Park de la Bouzaize (Northwest of the old town). For me this was not an option due to time reasons. And I have seen plenty of vineyards as it stands. Beaune features the Hôtel-Dieu or Hospices de Beaune. The Hôtel-Dieu is probably the single most iconic component of the inscription with its polychrome roof. It was also featured prominently in my French book in 8th grade. Based on a donation by the then chancellor of Burgundy, Nicolas Rolin, the Hospices have operated since the 15th century. The initial funding came from another WHS: Salins. 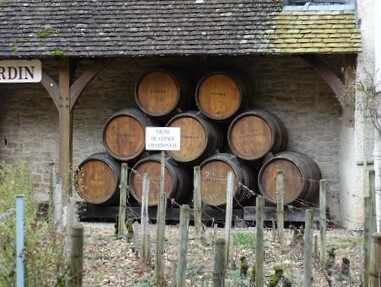 Over the centuries several donations were made to the Hospices with the effect that the Hospices now own some of the best vineyards of Burgundy. In modern times, the original building was turned into a museum and the hospital was moved. Dijon is well connected to all parts of France by TGV: Lyon (South), Paris (Northwest) or Besancon (East) are all a short train ride away. You can also connect by direct train to Lausanne in Switzerland (that's how I arrived). For all TGV rides you plan to take, book well in advance as they sell out and prices go up quite significantly as the departure date nears. Beaune is a 30min train ride from Dijon on the regional train line to Lyon. I combined Beaune, Dijon and Arc-et-Senans into a single day and felt this was okay. If I had to choose I would recommend visiting Beaune and skipping Dijon. Apart from drinking Burgundian wine, Kir is the local drink of choice. It's a mix of Cassis and Wine/Cremant. Dijon is also world-renown for the mustard. Personally, I think Moutarde de Meaux is superior. But that may be home town bias. From Dijon there are several nearby WHS that can be explorer as day trip. Check out our Burgundy Hotspot connection. This was a difficult site to truly appreciate. I think it's quite difficult to really grasp the subtleties and nuances behind the Appellation of Controlled Origin moniker without tasting lots of different wines from the various winemakers, experiencing how the small variations in soil, climate and so on can strongly alter the final product. So we opted to enjoy the area the same way most people do - marvelling at the landscapes in the full bloom of spring, and enjoying a glass or two of vin along the way. I visited this newly inscribed WHS on two occasions once in July 2013 and once in May 2015. On both occasions I admit to have only enjoyed the splendid vineyard landscapes and tiny villages which I think are the highlight of yet another vineyard landscape inscription. I also stopped by Dijon and enjoyed its cathedral before heading to Besancon when visiting the Vauban WHS series of sites. I will most definitely try to visit Beaune in the very near future to better understand the OUV of the Climats and to do some wine tasting. Naser ed-Din Shah: "The whole of these parts of the country is named Burgundy, and one section of Burgundy is the Cote-d'Or, of which Dijon is the chief town. The crop of grapes is beyond all computation hereabouts, and the wines are celebrated, being carried to all parts of the world. Order of Cluny: Abbaye Sainte-Bénigne, Dijon: En 989 l'abbé saint Guillaume de Volpiano envoyé à Dijon par l'abbé saint Mayeul de Cluny (de l'abbaye de Cluny) fait totalement raser la basilique en ruine en l'an 1000.